This is the full and detailed views of the cover of the first edition for The Sinister Pig. This copy was published in 2003 by HarperCollins Publisher's Inc. in New York, New York. Cover Design and Photography Credits: The jacket design and illustration by Peter Thorpe. The cover depicts a Yeii figure with out stretched hands and with two oryx grazing on either side. 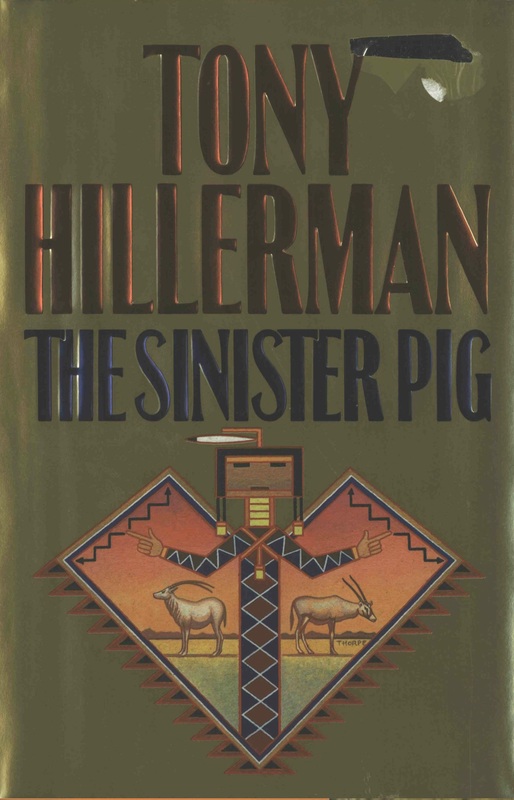 This edition has two fold outs: the front fold out contains a synopsis of the novel, and the back fold out contains a brief biography of Tony Hillerman and publication information.